Mammals are an indicative species in the landscape which we can use to measure the success of our revegetation work, but it’s not just habitat that we are working to relink and create. We are trying to restore the ecological functions of landscape, and improve it for all species including birds, insects, and pollinators. Before joining Greening Australia nineteen years ago, Sebastian had more time experiencing the outdoors than most people do in a lifetime. His first memories involve travelling through remote areas in Malawi in Africa with his father, a forester. At six year’s old his family moved to Australia, where Sebastian began his schooling. Sebastian remained working in various fire management roles until college, spotting and fighting fires. Inspired by his father, Sebastian would spend school holidays working on forestry projects and parks and wildlife services such as conducting animal surveys. When he graduated secondary school, he travelled overseas and immersed himself in the nature-based tourism industry. It would be a while before he returned home. Despite his love of the snow, Sebastian found that he still got the most enjoyment in caring for the land. Every summer vacation whilst at university he worked as an interpretation officer in Tasmania. On graduation he got his first post-graduate job teaching park management at TAFE University before joining Greening Australia. 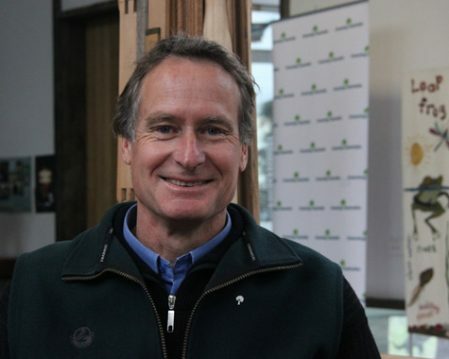 Today, he is our Director of Conservation where he works on our Tasmania Island Ark program. Sebastian is proud of Greening Australia’s willingness to take chances to achieve the best possible results for the environment.